You want to know the real scoop on Sedona restaurants? Well, you’ve come to the right place. 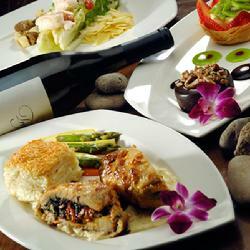 First off, let me say that there are excellent Sedona restaurants offering good value and quality fare. They are, however, the exception, in my opinion, and not the rule. Sedona is small and so does not attract the amazing culinary talent easily found in large metropolitan areas. Sedona’s population also tends to be very transient, meaning they come and go rather quickly…which can also be said of many Sedona restaurants. And Sedona is, after all, a tourist destination. And that means many establishments sport tourist destination prices on their menus regardless of their actual ability to satisfy your palate. A common inquiry I hear is, “Where do I get great Mexican food?” Well, I’ve lived and traveled in other cities and experienced what I feel is “great Mexican food.” But I have yet to find it here. There’s good Mexican here. There’s bland and way overpriced Mexican cuisine here. And there’s plenty of Mexican today and gone tamale. You won’t hear this anywhere else; you have to be a local to be in the know. When we eat Mexican, we go to a hole-in-the-wall place in Cottonwood, about 25 minutes away. When we have guests we want to impress, we go to Elote Cafe. And the rest, well, someone likes them, I guess. So, finding exactly what you’re looking for may be more of a challenge than you might expect. You may find great healthy food, but have to sacrifice any sense of ambience. Or you may eat truly fine food at one of the better Sedona restaurants, but only if you’re willing to pay top dollar. Or someone in your party may have a mouth-watering meal, while the person dining next to him is parched by a desert of mediocrity. Instead, I’m going to offer my helpful advice on what you can do to make sure YOU have the culinary experience you desire while visiting our scenic hamlet. 1) Check TripAdvisor for the top-rated restaurants. I’m recommending TripAdvisor in particular because they don’t allow the restaurants themselves to post reviews like most online review sites. So, at least you’re getting honest customer-based feedback. And be sure to actually read the reviews that customers post to see if there’s a fit for you. 2) Ask a local. Ask several of them, in fact. But don’t ask them, “Where should I eat?” Ask them, “What’s your favorite local restaurant…and why?” That way you will get more insight about the food and the recommender before spending your hard-earned cash. 3) Ask the staff at the restaurant. “What’s the best dish on the menu?” or some variation on that theme. It’s amazing what kind of information you can glean. 4) Eat with people who like to share food. That way you increase your chances of finding menu items you really like. 5) Be more wary of high rent locations. I live in touristy Uptown Sedona, but I rarely eat there. 6) Adopt the attitude that the food is part of the adventure. Sometimes you win the Sedona restaurants lottery, and sometimes you don’t. All part of the great Red Rock Country adventure.